Few artforms are as apt to describing the fervour and tumult of human emotions as music is. Songs transport us to real and imaginary places, living someone else's experiences as our own, connecting with thoughts and feelings through melodies, rhythm and words. As a producer working primarily with the tools of traditional Hip-Hop – samplers, records, synthesizers – Onra has distinguished himself over the past decade as one of the best of his generation, capable of creating vivid music that sparks the mind of the listener and brings them along to uniquely detailed spaces, both real and imagined. On “Nobody Has To Know”, his fifth album for All City Records, the versatile French producer created music that reflects on the various aspects of a secret relationship pulling from R&B,New Jack Swing and Funk to soundtrack the passions of attraction. 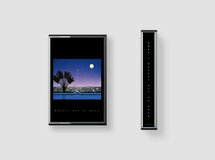 Stylistically “Nobody Has To Know” picks up from the Future Funk style Onra originated on his 2010's “Long Distance” (and its 2012 companion EP “Deep In The Night” for Fool's Gold). Where those two releases mined the early and mid parts of the 1980s for ideas and references, the new album digs into late '80s and early '90s jams for smoother and richer sounds. Bolstering the record are two talented multi-instrumentalists, New Zealand's Lewis McCallum and Belgium's Pomrad, who bring touches of virtuosity to Onra's trademark smooth arrangements. The result is a record that, like its theme, oscillates between tender, torrid and tumultuous. Over its 13 tracks “Nobody Has To Know” details the ups and downs of a secret relationship, from the excitement of doing something forbidden to the aftermath of living out fantasies. On "Let Me Fantasize" a rolling bassline and sparkling melodies capture the excitement of what is possible, the mind wandering into the forbidden. "No Question" taps into New Jack Swing to act out desires that can't be suppressed, exuberant solos echoing dangerous feelings. With its hard drums and smooth horn solos, and chorus of "Freak" takes you to that place where you can do things you only dreamed about. Balancing this intensity are more introspective moments. "Not Long Ago" rolls out gentle synth solos and nostalgic samples to reflect on past relationships and the very human desire to have what you had or can no longer reach. Rich textures and a languid rhythm underpin the reflective mood of "Nothing To Lose," as you wonder what could go wrong – it's a fine line after all. The fantasizing, excitement and danger of fatal attraction are all reflected through the prism of the music. With “Nobody Has To Know” Onra deftly evolves the style he first began to explore a decade ago with his unique touch, re-affirming a unique sound rooted in warmth and setting the mood for some late-night escapades.